Through step-by-step guidance Proceedix improves workflow efficiency and standardization, providing line operators with the right information at the right time while keeping their hands free for the inspection. Layering of information effectively supports operators with varying levels of experience and facilitates training on the job. 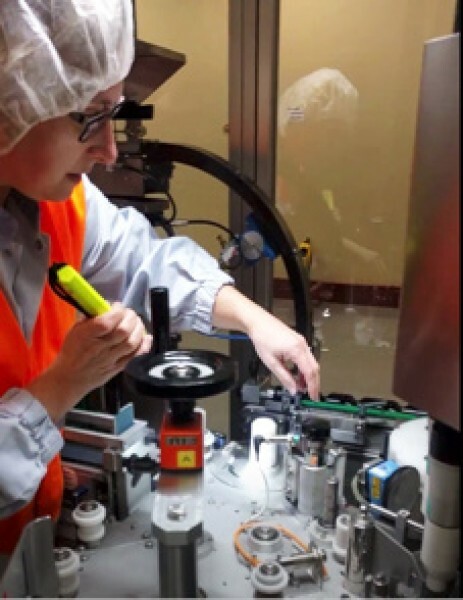 For remote monitoring or line clearance activity, Pfizer Puurs also took the opportunity to test video streaming with the exceptional zoom technology of the Iristick.Z1 smart safety glasses.